Today, we’re going to be looking at how to create a hair salon website with WordPress. This is an important topic, because, whether your salon has been in business for a while now or it’s just getting started, it’s probably fair to say you’d appreciate more clients and customers finding their way to your doors. Even if you are fully booked, there is always room for improvement. By attracting more of the right kind of clients – you know, the ones who book the more expensive treatments, stock up on product after each visit, are never late for an appointment or cancel at the last minute, and always recommend you to their friends – you can quickly start growing your business to new heights. So how do you go about attracting more clients to your hair salon or beauty center? Well, one key element of your marketing strategy should be having a good website. Not just any old website, though. But one that matches the aspirations of your business. To help you with your business goals, in this article, we will show you how to create a hair salon website using WordPress. It won’t just be your standard hair salon website though. It will be a premium website, which will not only inform your visitors of what you have to offer, but it will also promote your business in the right way, helping you to attract more of the premium clients that will help your salon thrive. If you’ve yet to get a website online, or you’re unhappy with the results you’ve received from your existing site, then the first step in building a successful hair salon website is to choose a platform. There are many options for creating a website, from free, hosted services, through to hand coding it yourself in HTML and CSS. However, if aren’t a programmer or you just want a secure and robust platform or foundation for your website, then choosing WordPress as the software to power your site is highly recommended. Why Use WordPress to Build Your Hair Salon Website? 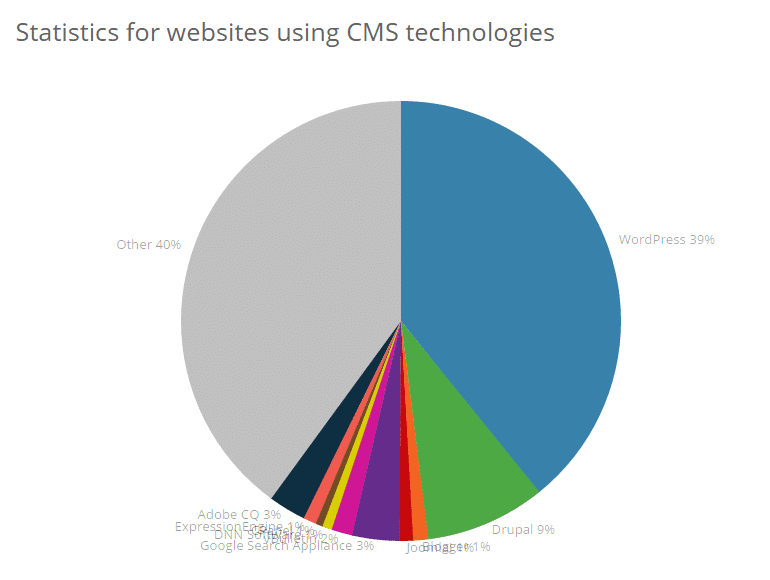 Although WordPress is free to use, you shouldn’t underestimate the power and popularity of this software. At the time of writing, WordPress is used to power around 25% of all websites online today and that number is only growing. This should tell you a number of things. One is that this software is extremely flexible and can be used to create almost any type of website. Two, it’s easy enough to use that a large portion of website owners have managed to get their site online using WordPress. And three, with so many active users, there’s very little chance of this software being discontinued or abandoned any time soon. While WordPress is free to use, there are some associated costs with getting your website online. However, in the grand scheme of things, using WordPress is considerably cheaper than almost every other option. One of those costs is registering a domain name for your website. This typically runs to about $10 a year and although you might be able to find free offers, it’s worth paying that amount for your very own dot com website address. After that, you’ll need some type of web hosting. This is where your website will be stored, making it available to anyone in the world with an internet connection. Web hosting costs vary significantly, but they can be as low as a few dollars a month. A domain name and web hosting cover the essentials. However, there are a few optional extras, which will greatly enhance your website. This includes using a commercial WordPress theme. A premium design is essential when it comes to creating a hair salon website with WordPress. While there are free theme options out there, if you want to your website to look the part and attract the right clients, then you really must invest in a commercial WordPress theme. The good news is that with prices starting at around $50, giving your website a high-quality and professional look and feel, now costs significantly less than it would be to hire a web designer. In this guide to using WordPress to build a hair salon website, we’ll be looking at some of the best themes in this category to help you get the right look for your project. After you’ve chosen your theme, you then have the option of installing plugins. These WordPress plugins are extra features that can be added to your website to help it work in the way that you need. If you want to get your website online now, be sure to check out this detailed guide on how to make a WordPress website, which covers everything you need to know on this topic. Choosing the right theme for your WordPress hair salon website can make or break your project. The theme handles the design and appearance of your website. However, a theme also has a large effect on how your website performs. A poorly designed WordPress theme will not only look bad, but it will also make your website difficult to navigate. As you want your visitors to have a pleasant user experience while browsing your website, this is very important. You also want your visitors to be able to find all the information they are looking for. This could include details about your stylists, information about the treatments you offer, or even just your location and opening hours. Not only will a badly designed theme make life difficult for your potential new clients, but it probably won’t instill much confidence in them about your services. Therefore, doing all you can to deliver a premium online experience will help you achieve your goals of acquiring more premium clients for your hair salon or beauty spa. 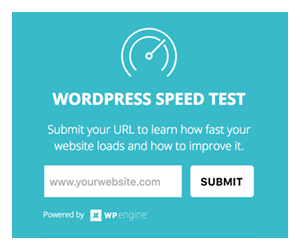 The other reasons why choosing a high-quality theme is essential include faster loading times for your website, fewer bugs and errors, and a more secure platform for your site. When it comes to looking for a WordPress theme for your hair salon website, you might quickly run into trouble. This often comes down to the large number of WordPress themes that are available today. While this huge amount of choice is a good thing, it does have its downsides. One downside is that having so many themes to examine can be very time-consuming. Another potential downside is that with so many great designs on offer, it can be easy to get distracted and choose a beautiful theme that isn’t right for creating a hair salon website. Without a responsive design, it will be very hard for your potential clients who are using their smartphones and tablets, to access your website. As the name suggests, a responsive design will ensure that your website responds to the size of the screen that is used to view it. This means no matter what type of smartphone your visitors are using to access your website, they will have no problems finding their way to your salon, viewing your services, or making an appointment. You might also want to look for a theme that includes support for retina displays. Retina displays are the next generation of high-quality screens and by choosing a theme that is retina ready, your website and especially its images, will really pop on these high-end displays. As all hair salons are different, offering different services, and aiming to appeal to a different audience, it makes sense that there won’t be a one size fits all WordPress hair salon theme. However, in order to give you as much flexibility and options as possible, it can be a good idea to look for a theme that includes multiple homepage variations. This makes it easy to choose the right design and appearance for your website, while also giving you the option of changing the design down the line – without the need to change themes. Seeking out a theme that includes a good selection of prebuilt page template and layouts can also be beneficial. 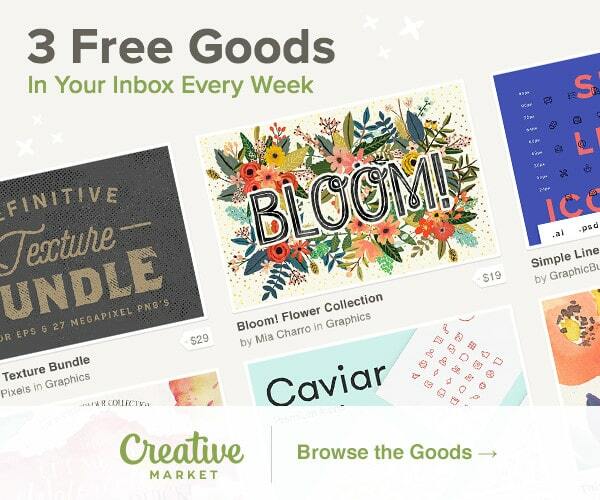 These templates typically cover the popular pages commonly found on almost all websites. This includes the about page, contact page, services, gallery, and the other pages you’d expect to find on a hair salon website. If you don’t see templates available for all of the pages you’ll need on your website, don’t worry, you can still easily create a new page with WordPress. However, having a prebuilt template to make use of certainly helps to speed up the process and ensure your website has a consistent look throughout all of its pages. It also helps if your chosen theme includes a one-click demo content installer. 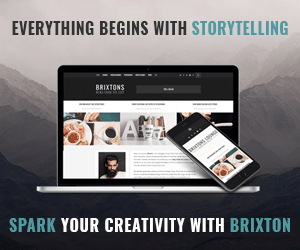 This allows you to add all of the page layouts and other features of your theme to your site, and get your website looking the same as the theme’s demo version, in just a few clicks. After this, it just leaves you to add your own content, rather than having to try to setup your website manually. As well as having a few demo versions or homepage layouts to choose from, it can also be worthwhile looking for a theme with a good set of customization options. These settings usually give you more granular control over how your website looks and functions. Typically, in this department, a good theme will include a number of prebuilt color schemes. These schemes can then be applied to your website in just a few clicks. You might even find controls that let you change the fonts used on your site, as well as modify some of the layout properties of the theme. This could include the width of the pages, and the size of the logos, for example. Some WordPress themes include a page builder tool. These tools make it much easier to create custom layouts for your pages, giving you a greater amount of creative control over how your site looks. If you want to make the most of your website, then you will want to add some kind of online booking system for your hair salon. Giving your visitors the ability to book an appointment directly from your website can help secure those new clients you are looking for. At the very least, you will want to add an online form to your website that makes it easy for your visitors to get in touch. Without an easy to use contact form or online booking system, you run the risk of your visitors leaving your site without getting in touch, even if they’ve been impressed with what they’ve seen. With so many hair salon websites out there, all vying for the same clients, if you don’t encourage your visitors to secure an appointment during their visit to your site, there is a good chance they may forget to follow up their visit to your site with a phone call. If you’re wondering where you’ll be able to find a theme that meets all of the requirements from the above list of recommended features, don’t worry. 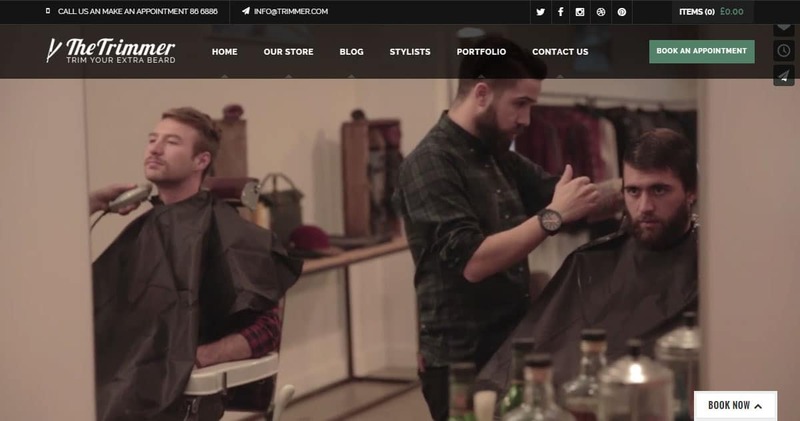 The Barber WordPress theme is a great example of a fully featured WordPress hair salon theme that will help you promote your business more effectively online. Barber has been created specifically to help anyone build a professional looking website for their hair or beauty related business or service. Additionally, as this theme includes full support for the leading WordPress e-commerce plugin, WooCommerce, if you want to build an online shop that sells hair and beauty related products, Barber could be a great choice. 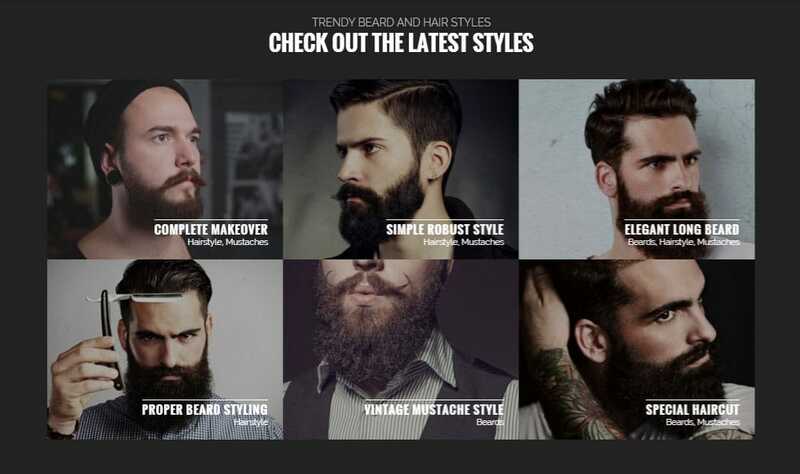 To help you get the right look and feel for your website, the Barber theme includes a selection of prebuilt homepage designs. These different layout options can be applied to your website in just a few clicks, making it very easy to get started. 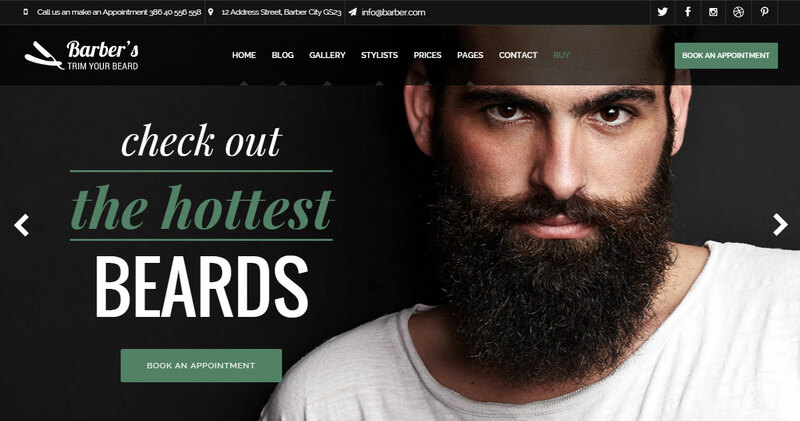 Although this WordPress theme is focused towards barbers and men’s hair salons, simply by using the photographs from your hair salon and choosing a different color scheme, you can easily give the theme a look that better suits your business. 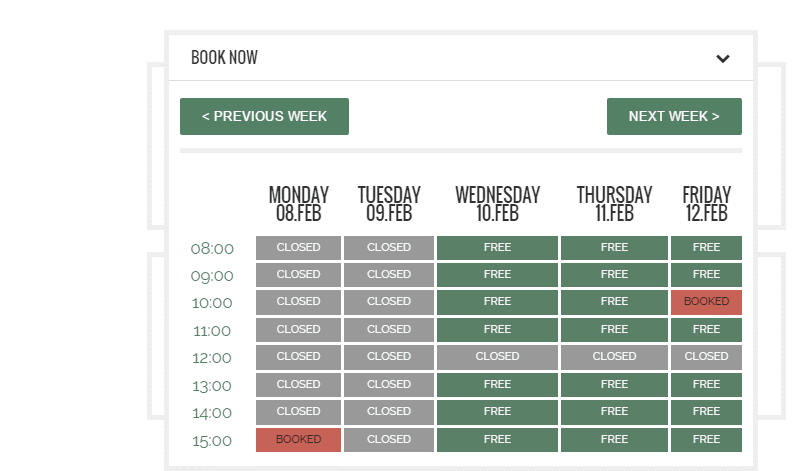 Another great feature of the Barber theme is that it features an online booking system. As the floating book now button is always on display, no matter where your visitors are on your site, as soon as they are ready, they can simply click on the button to arrange an appointment. Other great features of the Barber hair salon theme include a stylish portfolio gallery, testimonials and client feedback display, lots of customization options, stylist profiles, pricing information, contact form, social media integration, and a fully mobile friendly design. For more theme options, be sure to check out this collection of the best spa and hair salon themes for WordPress. 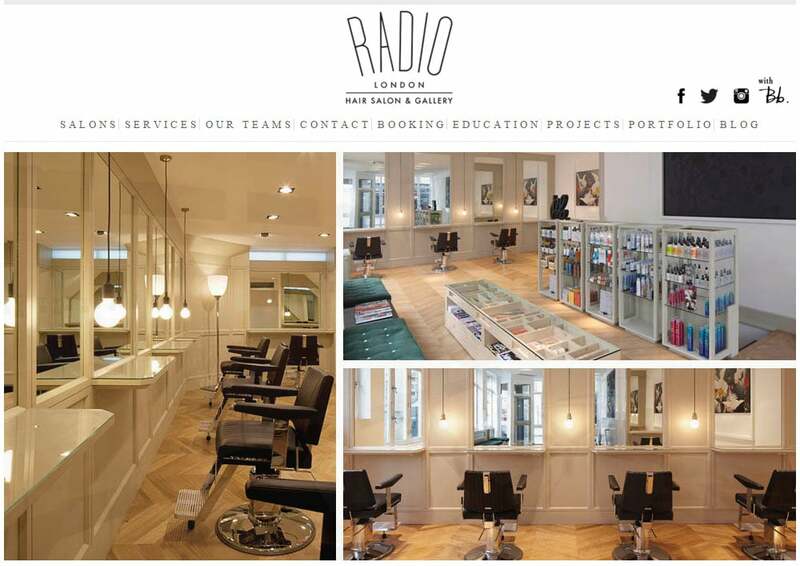 As you can see, creating a hair salon website with WordPress needn’t be a difficult task. Once you’ve registered a domain name, chosen a website, and installed WordPress all that is left to do is choose a suitable WordPress theme and then start adding your own content to the site. With so many powerful, stylish, and flexible WordPress themes to choose from, there is no reason why you can’t build a professional looking hair salon website to promote your business online and start attracting more clients. What type of hair salon are you building a website for? What features do you think your website will need? Which WordPress theme do you plan on using? Please share your thoughts and questions in the comments section below.